ADULT ATHLETES HAVE “WINTER FUN” IN PINEDALE! 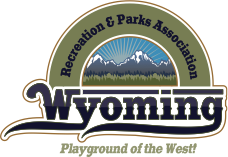 On February 7th through the 9th, Pinedale hosted the Wyoming Senior Winter Games. Pinedale started the games back in 2008 and has hosted 9 times since the Games began. Alpine and Nordic skiing, Snowshoe racing, Speed Skating and Hockey Shoot, new this year, Fat Bike racing; Pickleball, Swimming and Walking were enjoyed by adults over 50 for 3 days. We hosted 109 registrants from around the state of Wyoming, and as far away as Houston, TX and Tucson, AZ. The 2020 USA Curling Arena National Championships will be staged in Gillette, Wyo., marking the first time a major curling championship will be held in Wyoming as the sport of curling continues to grow across the United States. SHERIDAN — The Sheridan Recreation District held its monthly board meeting Wednesday at The Hub on Smith. 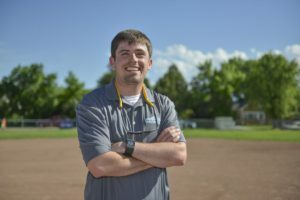 Seth Ulvestad, who had worked as the interim executive director since June, received a promotion to full-time executive director. The Mission of the WRPA Incentive Program (WIP) is to increase membership participation in all aspects of the WRPA by providing an incentive plan that will reward members for their professional efforts and recognize members for years of service, involvement and contributions to the WRPA. The plan will encourage current WRPA members to continue their individual career growth and dedication to the field of Recreation and Parks. We are now taking orders for WRPA polo shirts. 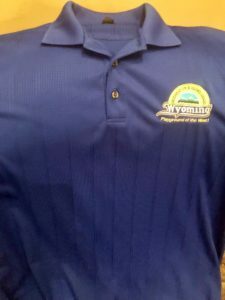 These are 100% polyester, with the WRPA logo embroidered on the shirt. They will be available in men's and women's styles, with the following color options: Ocean Blue (Light Blue), Grey Smoke, Hyper Blue (Royal), or Black. A picture of a men's shirt will be posted on the WRPA Facebook page and website. Shirts will be $30 each. (Additional fees may apply for XXL or larger). Shirts will be distributed at the Midwest Conference in April, or mailed to you if you are not attending Midwest. Pick up at Midwest Conference or have it mailed. The deadline to order is Friday, March 1. Please send your payment to the WRPA Treasurer, Kari Kivisto, at: WRPA Treasurer1317 Parsley BlvdCheyenne, Wyoming 82007. Make checks payable to WRPA.